When your old laptop takes five minutes to boot Windows, you may start to think about giving it away or worse, tossing it. A company called Neverware has a better idea -- why not convert it to run Google's Chrome OS? Blimey yet another one for the test list. Edited by abarbarian, 20 September 2017 - 05:13 AM. USU linux (Bulgarian: &#1059;&#1057;&#1059;; &#1059;&#1095;&#1080; &#1057;&#1074;&#1086;&#1073;&#1086;&#1076;&#1077;&#1085; &#1089; &#1059;&#1073;&#1091;&#1085;&#1090;&#1091;) is Bulgarian open source desktop operating system built around the KDE desktop environment and based on the popular free Linux distribution, Ubuntu. Usu can be downloaded in three flavours, Desktop, Mini and Netbook, each one with its own features and target audience. All of them can be downloaded for free, as Live CD/DVD ISO images, supporting 32-bit and 64-bit processors. The defult language is Bulgarian, but in installation it can be easy changed with F2 key. This looks like a very neat and slick os created in a very small european country. The main site is well laid out and modern looking with comprehensive information on the programs included in each of the different versions on offer. You have to look elsewhere for information concerning its base or installation etc. Mind you it is based on Ubuntu with KDE so information is easily available. Interestingly there is a AUR entry for a icon pack which looks abandoned but the link to the icon pack is still relevant. The icons are very clean and modern looking. USU (formerly known as Free studied with Ubuntu) is alive / installation disk operating system and free software. I do like the way that the main site lays out information concerning the different versions. The fact that they have tailored a version especially for netbooks shows that they are taking account of the changes in modern computing. I think this is a distro well worth a look and the developers deserve credit for their splendid creations. This version for Chromebook is reported to work but I couldn't find any documentation. Neat. There are some interesting Devuan spin offs around hopefully I'l be able to trial some later in the winter. WindowMaker itself has been around since 1997. It is an X11 window manager originally designed to provide integration support for the GNUstep Desktop Environment, a free adaptation of Cocoa (formerly OpenStep). A luverly article on probably the best WM ever. Windowmaker is neat but I do not understand why the developer does not want to modernize the environment. I bet that it would be much more popular if it looked like it had been updated in the last 20 years. I am not knocking it in any way but why keep the 1995 look and feel? 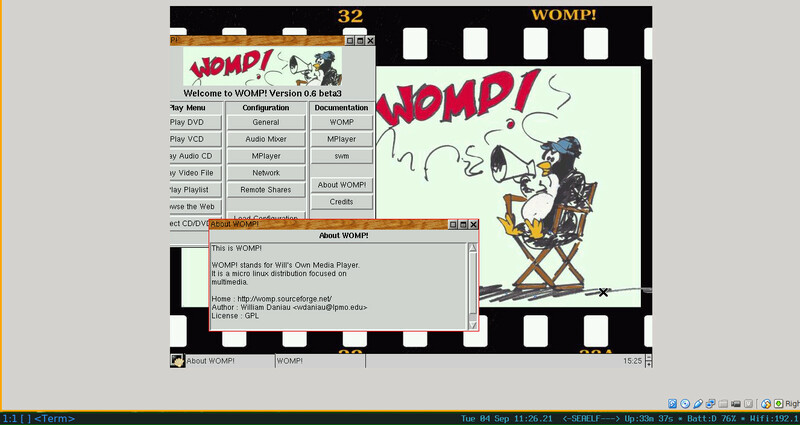 Linux has come a long way in the last 23 years. I'm guessing that the Window Maker dev doesn't care so much about popularity and simply wants to keep that retro look alive. This is from the Live CD folk but the WM developers have a similar outlook I think. In that it works has tons of features is light on resources and you can customise it to suit easily. The Window Maker Live CD applies the Window Maker window manager as default graphical user interface, and successfully manages to integrate well known standard open source components in a very attractive and usable user interface. 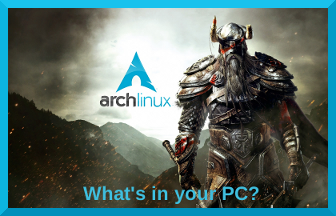 This is of special interest for Linux users, who are not really happy with the recent graphic user interface developments of the more commonly applied Linux distributions. As Window Maker provides a very good balance between usability and a light interface, there is no reason to bother with the overhead of a full blown desktop environment. With the feedback and requests we got from our Best Linux Distros for Gaming list, we had to do another list of the best lightweight Linux distros. Actually, some of them fit both our categories. Sure, there are other similar lists our there, but this one has up-to-date info and we’ve personally tried and tested (almost) every distro on our old laptops. It took us 7 months to compile this list and a few weeks to update it with new data! We’ve seen new lists that included distros with their latest update being in 2005. Come on, how is that distro still relevant and good in 2018? And don’t get us started on how each list is just a rehashed version of the same 5 distros. We purposefully included many distros in our list so you have more options to choose from. All distros are free and can run on ~512MB RAM or less. If you’re feeling overwhelmed, just pick any distro. You don’t have to throw away your old PCs and laptops. Install a lightweight Linux distro on them and they’re as good as new. Lightweight distros don’t even have to be used on old hardware. You can install them on some bleeding-edge hardware and get the ultimate performance. Most distros are portable and can run on a Live CD/USB, without a hard drive. Why should you use other OSes full of bloatware and unnecessary stuff when you can use a perfectly fine Linux alternative? I did a little research on several of the distros mentioned. On visiting the home pages of some of them it looks like the distro has not been updated for several years. However looking into the forums I saw new posts and information on 2018 downloads. So it looks like all or nearly all the distros mentioned in the lists will be upto date which is not the case with a lot of other lists. I have wasted loads of time over the years reading a current article on some neat sounding distro and the visited the distros home site to find that there is no current download or that the project had been abandoned years ago. I have a spare Toughbook CF-19 so I think I will try out some of the more unusual offerings over the coming year. It's just Debian Stable with Openbox, and a few other things tossed in. Nice setup. I've got it on my "test" computer in a dual-boot with BunsenLabs. I have had a look at the distro before in passing as it always looks so neat and clean. The top task bar has always put me of exploring further though. The top task bar has always put me of exploring further though. I changed all that right away, using only a left-side vertical tint2 panel. This offering is probably the easiest way to gain some experience of a linux operating system I have ever come across. Endless OS uses a read-only root file system managed by OSTree and Flatpak. Many of its applications are available offline, so Endless has everything you need to take full advantage of your computer. I was pretty impressed with all I read about Endless OS so as I had a spare 4 GB stick lying around I decided to give it a whirl. I could have used ETCHERbut I used the "dd" command to install to the usb stick. The image booted up on my UEFI system with no problems. The desktop is very slick and modern and ran very smoothly and quickly. My internet connection was found and ran without any fiddling about as did sound and the desktop automatically found the best settings for my 24" monitor. I downloaded the VLC and WolfenDoom Blade of Agony flatpaks and they both installed and ran flawlessly. For anyone wishing to try out a linux os or indeed anyone wishing to run a linux os then Endless OS is probably the easiest way to go. All of the extra programs offered come as flatpaks which are basically programs in a container which includes everything needed to run the program. So with a couple of clicks you can install a program and be assured that it will run without any fiddling around. The Flatpak hub has almost every type of common program that a ordinary user would need to have a full and decent computing experience. If you have a spare half an hour then why not give Endless OS a whirl. I just came across this excellent article on Endless OS which details installing and running the os much better than I can. They state that you need to buy codecs due to USA legallities which is true for the included Totem player. However if you install VLC you do not need to purchase codecs as they are included with VLC. If you think Mint is an easy to install and use linux os then you will be blown away by the simpicity of Endless OS. I realise that there is some concern around using Flatpak's. However the folk developing this seem decent and I am sure they have paid some attention to security. As an os for older folk changing over from Windows this looks like a winner to me. The operating system that comes with everything your family needs. Download Endless OS to access a world of knowledge. Edited by abarbarian, 05 July 2018 - 10:12 AM. Slax developer Tomas Matejicek announced today the release and immediate availability of the Slax 9.5.0 release with the latest updates and security patches. Since it's been rebased on the Debian GNU/Linux operating system, Slax saw two releases, versions 9.3.0 and 9.4.0, which introduced numerous enhancements and new features, including one-click-to-install launchers, support for various Wi-Fi devices, EXT4 and NTFS support, and persistent support enabled by default when booting from USB flash drives. I am also happy to announce that it is now possible to purchase Slax preinstalled on an USB flash drive with hardware-based AES encryption. This device is universally usable because the encryption is performed directly by the drive itself, there is no software to install needed. Once disconnected, the USB drive automatically locks itself again. Payment is possible only with Bitcoin, because I truly wish to see PayPal and credit card companies to cease to exist soon. The DataTraveler 2000 has several interesting factors that might make it one of the best secure flash drives around. The first is that it includes AES-256 in XTS mode and is hardware based rather than software based. Next, while some hardware encrypted flash drives partition the drive and use software to unlock the main data portion of the drive, the DataTraveler 2000 uses an alphanumeric keypad to unlock the drive. Finally, it includes an automatic data wipe after 10 failed PIN entries. I had never seen a usb stick with a key pad before so went hunting for further information. It appears that here in the UK You can get a iStorage stick for quite a bit less than the Kingston one, although they do run at slightly slower speeds. I really like that they run on anything that supports usb or usb2go. Hmm... Slax went to Debian, huh? Traitors! Well according to elsewhere on Softpedia it has a Slackware base. Edited by abarbarian, 24 July 2018 - 12:51 PM. There are three kinds of lies... lies, d4mned lies, and statistics. WOMP! I remember burning this to a disk and using it back in the day when I was having problems configuring mplayer. Can't say I used it a lot but it did save the day now and then. And here I have it running on Virtualbox.....now I gotta find my favorite movie, "How the Bubbles were really made....Behind the scenes of Larry Welk"